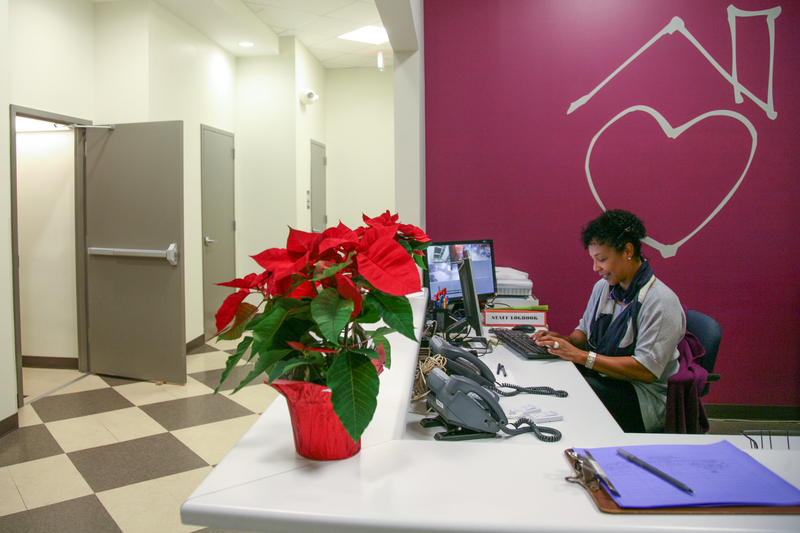 Front desk volunteers ensure everyone’s first impression of Calvary is a warm and welcoming one! As a front desk volunteer, you will be the voice of Calvary to everyone who calls or stops in, and to residents as they enter and exit the building. Front desk volunteers should be excited to represent Calvary in a professional manner over the phone and in person, and be willing to help enforce Calvary’s policies with those who call and with current residents. You will answer incoming phone calls to provide information regarding Calvary’s services, transfer calls to individual staff lines and take detailed messages. You will also manage residents’ movement in and out of the building and work on administrative tasks as needed. Front desk volunteers are required to make a commitment to cover one morning shift per week for 6 weeks (with the option to extend based on your availability). Shifts last from 9 am – 1 pm. Please note that some shifts may be quieter than others, and you are more than welcome to bring a book, homework, or something quiet to do if there is no administrative task to work on. We don’t have a computer for your use, but we do have wifi available for you to connect on your personal computer or tablet. Minimum one shift per week from 9:00am to 1:00pm, for at least three months. Ready to volunteer at Calvary’s front desk?